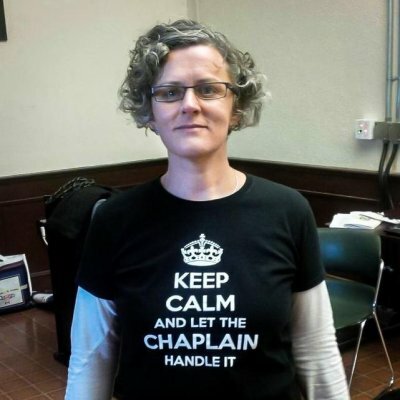 Kate Johnson, the third Chaplain to Queen's University, came into office in August 2013. She completed her undergraduate studies at the Lakehead University School of Social Work and holds a Master's of Divinity with a concentration in restorative justice from the Queen's University School of Religion (formerly Queen's Theological College). Kate's social work includes working with Deaf and hard of hearing communities, Young Offenders and mental health treatment. 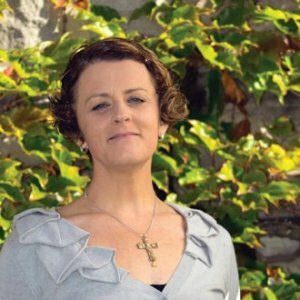 Kate currently serves as a member on the board of directors for the Kingston Community Chaplaincy, which supports recently released prisoners in their re-entry to the community. With a diverse career and a breadth of experiences, Kate has served as a chaplain for the Correctional Services of Canada for five years. Prior to that, Kate worked in the Spiritual and Religious Care department at Kingston General Hospital for four years. Kate has also spent four seasons tree-planting outside of Armstrong, Ontario and 3 summers living and working on a forest firefighting base in Red Lake Ontario. For added adventure, Kate has had the pleasure of spending two summers in a territorial campground outside of Yellowknife in the Northwest Territories. Kate is a member of the Religious Society of Friends (Quakers). Quakers are convinced that "there is that of God in everyone" and that the Divine speaks to each of us in a very personal way. Her openness towards other people's spiritual experiences allows her to serve in an advisory role to students of all faith backgrounds. As a firm believer in the value of interfaith dialogue and community-building, Kate has co-facilitated a number of workshops and events to bring together people from a wide variety of faith communities in her hometown of Peterborough, Ontario and in the prison system. Kate is continuing that tradition at Queen's University with the introduction of interfaith events including sporting events and board games. Her dedication to religious freedom and social justice shapes her ministry to the Queen's community. Prepared for prison chaplaincy with a particular focus on victims' issues. But spiritual services help offenders of other religions, too, said Kate Johnson, a former chaplain at Joyceville Institution in Kingston, Ont. 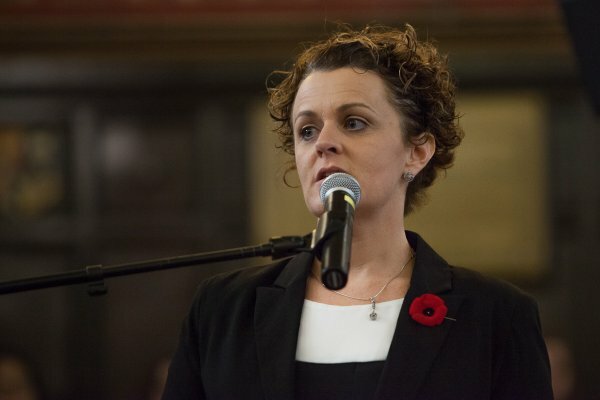 Prison reform advocate Kate Johnson told an audience Wednesday she fears Ottawa may consider privatizing aspects of the prison system as the Americans have done. Kate Johnson, now Queen’s University’s chaplain, explains why she has referred parolees to Haley’s service. Kate Johnson, who graduated from the Queen’s Theological College in 2006 with a Master of Divinity, is set to begin on Aug. 19. She is succeeding Brian Yealland, who served as chaplain for 32 years. She will be the first chaplain to not explicitly identify with Christianity as a religion.